Well, we're in Queenstown having a bit of a rest day. The Southern Cross is well and truly behind us - we completed it with no problems on Friday 27th. 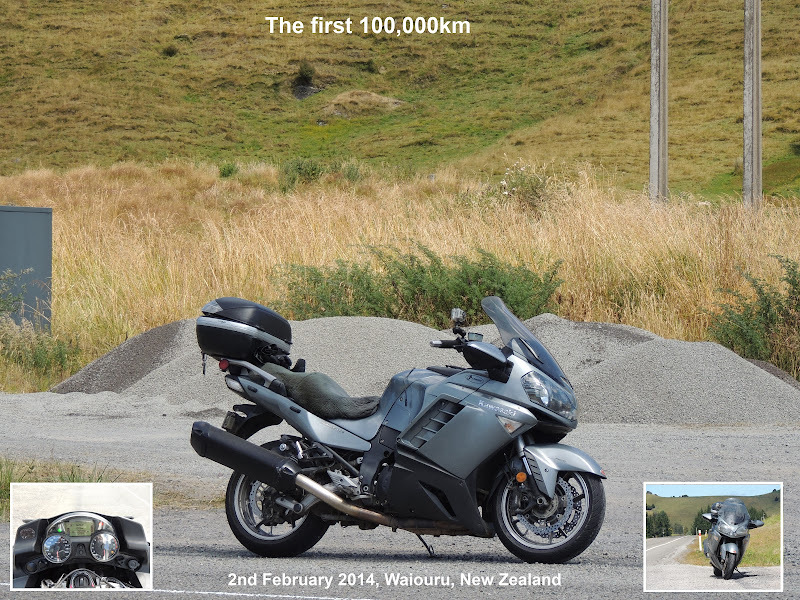 We had a pretty good ride overall with good weather over the entire North Island and no rain in the South until Christchurch. From there south the weather was pretty cold with some pretty yucky rain chucked in as well. So far after the ride we've ridden up the East Coast via the Catlins & Nugget Point and then across to Te Anau and Milford Sound. We've just done the luge in Queenstown and are staying a second night here before heading on up the centre of the island. Well it's Friday night and just 2 days before we head off to attack our second Rusty Nut's Southern Cross. The closer it get's to the time to leave the keener you get! Put new tyres on the bike this weekso she's already to go. Just got to load up the panniers & top-box and do the usual sorting out around the house and I'll be raring to go. It's going to be a long day on Sunday - waiting for Mark to finish work before we can suit up and blast off. I had thought of posting a brief outline of our plan of attack but haven't got around to it - plus we might be helping someone else out eh? So, I've just drawn the rough map (roads not really marked, just general direction) below of what we're planning. The checkpoints' dates & times are compulsory so we have to work around them. The little beds on the map indicate where we're gonna stop for the night on each leg. Some of the legs are in the 900km range and with most of the riding happening in the afternoon it makes for a long day in the saddle. Done it once so we know we can do it again. The only variable part of our route is the 2nd to last leg in the South Island. We'll be getting into Picton at about 11:20am and plan to ride as far as possible (pretty easy to do big k's in the South) so that we can ride around the Catlins on the last day to Bluff. The long range weather forecast looks really good through to Tuesday (leg 2) so I hope it stays that way for us - especially down south. Looking foward to meeting up with some of the other guys we know who are also doing the ride and just the challenge of doing the big miles day after day. You can ride a Motorcycle at any time of the month. When you're done riding your motorcycle you can just get off it. You don't have to take your motorcycle to dinner to get a ride on it. You can leave your motorcycle out in the garage and it won't complain about the cold. Your motorcycle won't ask where you've been in your car. Your motorcycle won't look at the grease on your collar and ask where you got it from. Your motorcycle won't sniff suspiciously at the petrol fumes when you've been riding another motorcycle. Motorcycles don't complain if they're insufficiently lubricated, they just don't go quite as fast. When you finish riding your motorcycle you feel like getting on again straight afterwards. Having a really loud motorcycle can be good. Having an oversized motorcycle can be good. Motorcycles don't mind you wearing your boots while riding. Motorcycles don't mind you leaving them with other strange motorcycles. Motorcycles like riding in groups. Motorcycles like racing. The one who gets there first is the winner. It is always good when you’re with your motorcycle. Motorcycles don't need commitment, they just need petrol. If your motorcycle dies, you can just get a new one. 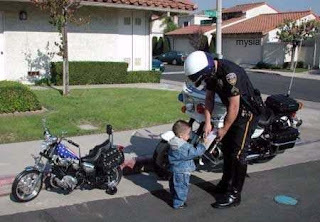 If your motorcycle isn't working, you can always borrow your mate's. Your motorcycle takes a bit longer to cool down. Your motorcycle doesn't complain when riding in the back of the truck. Motorcycles are recyclable and ozone friendly. Your motorcycle still looks the same after two beers. Riding strange motorcycles without coverage is perfectly safe. When you fart on your Motorcycle, it doesn't care. The darkies a Motorcycle leaves behind always smell great. A Motorcycle never leaves a wet spot you have to sleep on. A Motorcycle always wants to be ridden harder faster. Motorcycles don't kick you outta bed when it's time to wake up. Motorcycles don't roll over and pass out after you've gone for a ride. When your Motorcycle hiccups, you REALLY ARE concerned. When you goose your Motorcycle, it wheelies. When you get sick of your Motorcycle, you can sell it. Motorcycles are cheap to keep (unless you have a Harley). Motorcycles always pump that adrenaline, even on a bad day. Motorcycles don't ask you to cook dinner. Two can ride a motorcycle in public and people don't stare. You don't have to prove to your motorcycle that you like your motorcycle. Motorcycles always trust you - no matter what. You don't mind if others love your motorcycle, too. You don't mind if others want to ride your motorcycle. Motorcycles don't smell bad when they get dirty. You don't have to pay alimony/child support to your ex-motorcycle. Motorcycles improve when you bore 'em and stroke'em.! When you spend money on your motorcycle to improve its looks, it works. Easter Sunday, a fine day and going for a ride seemed a better idea than staying at home and feeding my face with chocolate. I decided that it had been a while since I’d been out the back roads to Pongaroa and then back into Danniverke on the great Weber road. Instead of heading up the main road to Woodville and then thru to the turn off at Mangatainoka I first headed over the Pahiatua track, into Pahiatua and then back to the Pongaroa turnoff just before Mangatainoka. The track is always fun and gets you into the mood for the more serious back roads to Pongaroa. You always have to watch this road – you never know when you’ll come swooping into a corner and discover gravel & crap all over the road. Sure enough, I wasn’t to be disappointed – at least three sections of unmarked new seal. Also one sheep, 2 hawks and a farmer coming around the corner on the wrong side of the road on his quad – his dog nearly fell off when he swerved. Just before Pongaroa there is a road that heads off into the wops towards Waihi Falls and I’d never been there. Too late, I went past the turn-off and couldn’t be bothered turning around. I knew that there was another turn-off further past Pongaroa so I mulled it over as I carried on. In the end I decided to have a look and took the turn-off. The road immediately turned into a very narrow gravel road but I pressed on being careful to keep left in case someone came flying sideways around the corner from the other direction. After about 10km of quite slow going (2nd & 3rd gear stuff) I came to the other road that I could have taken early and turned right to head on towards the falls. The road widened out a bit and got straighter so I managed to get into 4th a few times. After a while I came to the turn-off to the falls and took this. A quick 2km blast up the gravel road got me to the reserve where a map said that the falls where a 10 min walk away – damn. It was far too hot for tramping in bike riding gear and I hadn’t bought my luggage so I couldn’t really just strip off and go for a walk. Maybe next time. Turning right out of the road to the falls took me on to more gravel and then finally a sealed but narrow road which then linked up with the main road to Danniverke. It took me a while to get back into the swing of riding quickly again but I still enjoyed the road. Leaving Danniverke I decided to turn off the main road again and followed some of the minor roads back into Woodville before attacking the gorge. Entering the gorge I caught up with a lot of traffic that was pulling over to watch the steam train heading thru some of the tunnels leading into the gorge. Instead of stopping there I decided to rip thru the gorge and wait for the train to come thru so I could get some photos of it. Took a while for it to come thru but it was great to see & hear it chuffing its way along the tracks. Great also to hear the steam whistle as the engineer let it rip to acknowledge all the people who had stopped to watch it go past. A quick ride back home for a much needed cuppa and just in time to catch the highlights of the Moto GP in Jerez. Good to see Rossi back on top too. Good wee ride (231km) on a nice day – isn’t that what long weekends are for? Well it looks like they're definitely here! Suzuki have them listed on their website with details etc including the price: $13,995. Still good value for money - thought we might see a higher price due to the new higher spec motor - good to see, they'll sell boat loads. How's about a photo ripped off their site?